Home Internet How to prepare for the typing test? How to prepare for the typing test? 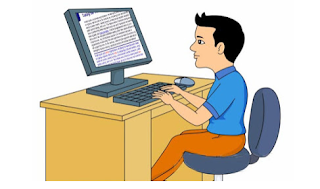 When preparing for a Typing Test, you should know how your typing test is going to be done. Most of the typing tests are asked for the speed of 35WPM and 95% of the accuracy is sought. So for such a test, you have to pay a lot of attention to your acuity along with your speed. If you do not even get typing at all and you have just started learning or just starting typing, then first you have to memorize the full keyboard, every one of them is a doctor. After that, you have to be on your hand-board so that you can do typing without looking at the keyboard. To memorize the keyboard and hand it over, you can get help from some type of typing software. On the Internet, you will find many software typing and a website will be available for online preparation but you do not have to prepare your typing test on this software and on the website. It is used only to remember the keyboard, and on that to Chahia. taiping Test (to make your hand day use them to starting with learning typing Test) you have to know when preparing Neither should your typing test is a kind happen and on that To do your hand, it is necessary to use them to start typing learning. The keyboard is required after handling the speed of typing speed. 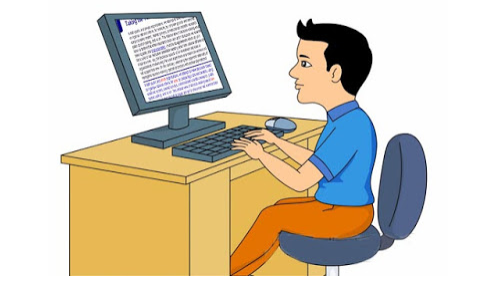 When you are typing on a typing software or website, your speed is much higher as if it is assumed that your typing speed on any typing software or website comes in between 40 to 45WPM and when you enter a typing test, your Speed 35WPM also does not come in the same way it is because the typing test in excess of which is given to you by typing something on an A4 size paper. Seeing the inside that you have to type on the computer and typing software and website in their inside you get more your speed on software and website that would write itself by looking at the computer screen and typing test. So let's tell you a way to increase typing speed by which you can easily pass any typing test. You have to start typing within MS Word when your speed starts from 20 to 25WPM on software and website. You can type in MS Word by looking at a newspaper or any book and you will find the most written in this post. Typing Test Paper You will have to click on it after which a file will be downloaded and you will find some typing test papers inside it. From which you can find out what kind of paper comes in the typing test and you can print the paper out of these papers and see them from inside MS Word, you can type your typing K preparation and will be good. Now look at how you check your speed while typing into MS Word, the word 'Total Words' is displayed in the left side of MS Word, that is how many words you have typed so far when you start typing Then you have to take a look at the time. See if more time is given 10 minutes in the typing test, then you also have to prepare for the 10-minute typing test, then take the time before typing in MS Word. Take it down and stop typing as soon as 10 minutes. After that on the left side in MS Word, see how many words are showing total and you can know the speed of your typing with those words. In this way, you have to prepare for typing in both typing software and MS Word every day, in this manner you can increase your typing speed and also make strong preparation for typing test and easily pass any typing test.